Living in Residence is considered to be a privilege and with that privilege comes certain responsibilities that must be followed by all Residence students. 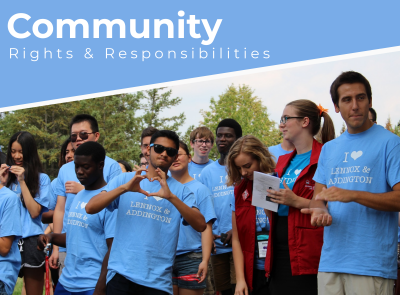 The Residence Standards is a document that outlines the rights and responsibilities of students living within our community. By signing the Agreement, you indicate that you are willing to abide by the standards that come with living in Residence.